Brother printer products are rated among the best when considering different printer and printer ink cartridge needs. With so many different options often cluttering a consumers eyes it can be difficult to know which ink cartridge works best for your needs and wants. At YoYoInk we provide a wide variety of options for all your Compatible printer ink cartridges and toners as well as remanufactured printer ink cartridges and toners. 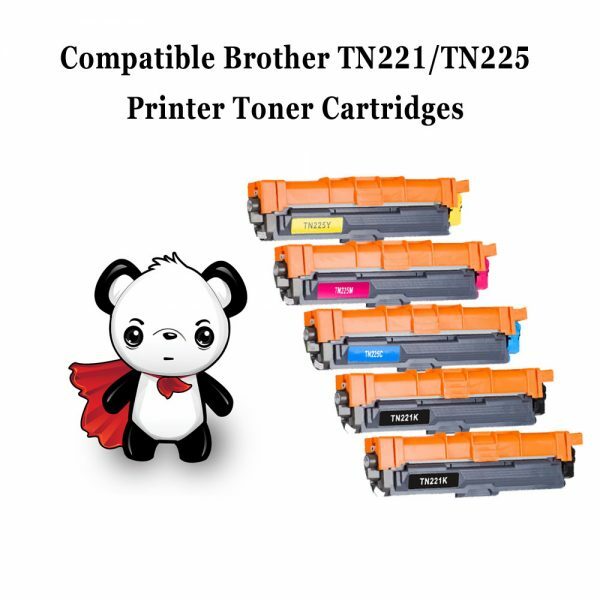 Here we will be discussing the Compatible Brother TN221/TN225 toner cartridges replacement for brother printer models: MFC-9130CW, MFC-9340CDW, HL-3170CDW. At YoYoInk we hold a high standard of quality when producing all of our compatible printer ink toner cartridges. All of our compatible brother TN221/TN225 toner cartridges are made to pass OEM standards and even better. Our compatible printer ink toners and cartridges are made to out last and produce more prints than OEM printer toners and cartridges. The YoYoInk compatible Brother TN221/TN225 toner ink cartridges are designed to give you printing results that are true to color, resistant to fading for years, smudging and bleeding. All of YoYoInk’s compatible brother ink toner cartridges come with a smart chip that will help you easily track ink levels to ensure you don’t run out of ink during important prints. YoYoInk strives for excellent customer satisfaction with all its products. The Compatible Brother TN221/TN225 Printer Toner cartridges come with a money back, 100% customer satisfaction, two year guarantee. We believe in the quality of our products, and that is why we offer a 2 year no hassle warranty. If you are not fully satisfied with your ink cartridge purchase, return it to us for a 100% Money Back Guarantee. To ensure our consumers are receiving the best products on the market, we remanufactured our cartridges to meet and even exceed OEM specifications.